We had a cup of tea made of Palo Santo (Holy wood) which, according to South American tradition brings good luck and protects against bad energy. As does our daily routine which has plenty of gardening and other outside work but also gives space to enjoy music and meditation. You are invited coming Sunday at 3 pm again for music with Ananda. 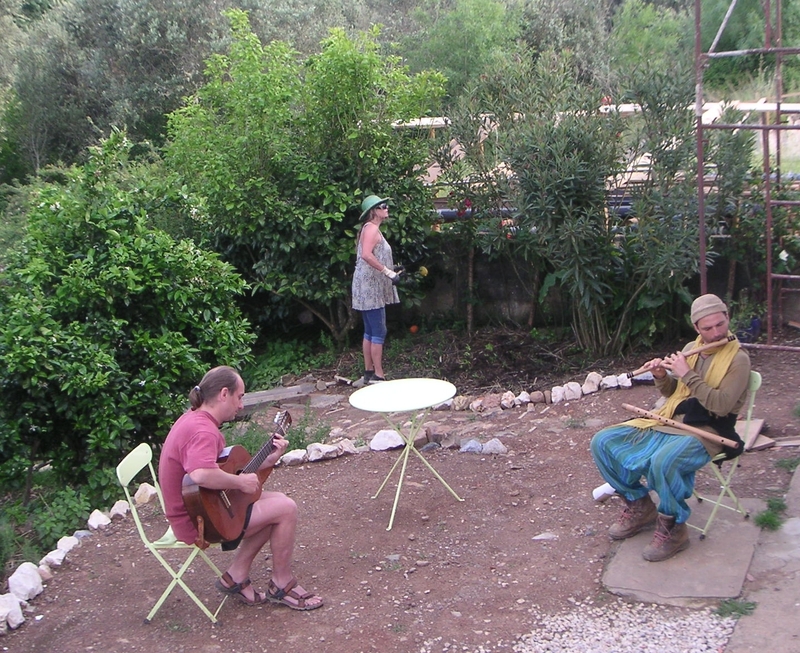 A workshop, meditation, holy tea and singing, see our Events schedule. 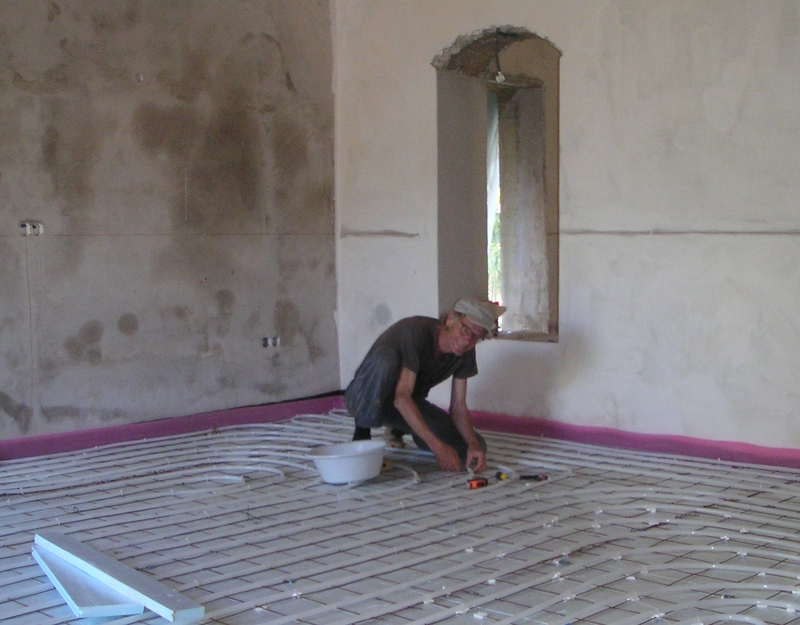 For the most comfortable and efficient way to heat our former barn we install underfloor heating tubes. It uses hot water of relatively low temperatures which makes it suitable for use with the solar collector, even in winter, saving fuel and greenhouse gas emissions. It also offers benefits for indoor air quality and thermal comfort. The tubes are mounted on an insulating layer of 6cm thickness and a moisture barrier. Our garden gets water from the Santa Clara reservoir and we made a system of channels leading into the tree circle. It’s a puzzle to distribute the water evenly along the channels and I invoke the spirit of my ancestors (civil engineers) to build locks and dikes. Now that I mention it, we are looking for able engineers and other volunteers for longer term coordinating positions. Something for you? Please send us an email. 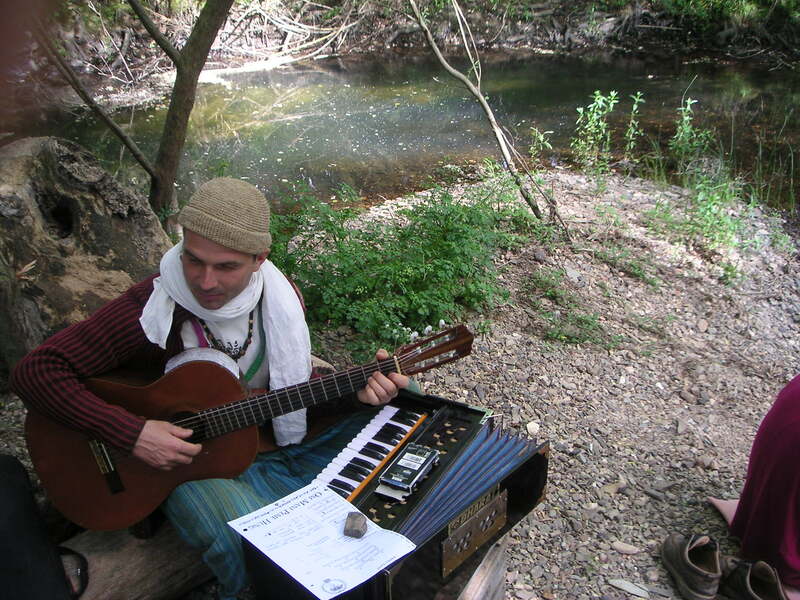 Yesterday: Ananda’s music, the murmur of the rapids, our singing in the warm afternoon sun by the side of the cool river. A tea break with Andreia’s cakes. A Sound Bath. Click here to hear and get a glimpse of this first event in the new (but not yet totally finished) Osho Garden Auditorium. And then we danced into the Osho Evening Meeting, where one can practice and enjoy in another way, to listen as meditation. 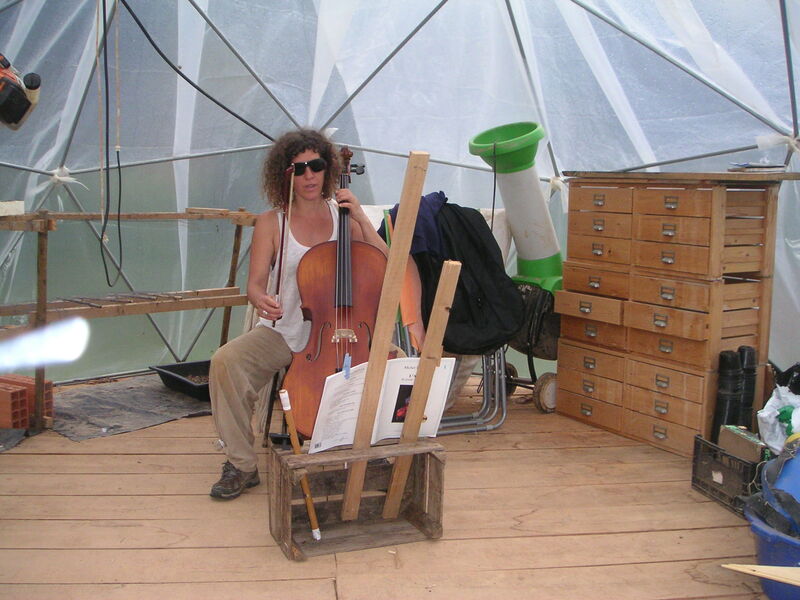 Patricia was practicing the Cello in our Garden dome and it sounds like this (click here). If you want to join the music, today, Saturday 9th April is the day.